New York is located in the east of the USA. This is one of the most populated states in the USA - just New York City with more than 8.3 million people is the most populous city in the country. And as the internationally recognized cultural center and “place-to-be” it attracts more visitors than any other city in the US. The state, just like the city, has been named after the Duke of York, future King James II of England. Not only that the state of New York has mentioned metropolitan area (NYC), but it also has many beautiful natural places. One of the most important ones is the Niagara Falls in the Niagara Falls National Heritage Area. Other worth to visit historical places are: Statue of Liberty National Monument, African Burial Ground National Monument, Theodore Roosevelt Birthplace National Historic Site ….. If you travel with kids then certainly of interest are water parks and amusement parks, such as Martin's Fantasy Island, Midway State Park and Rye Playland. Lazy K RV Ranch is surrounded by beautifully peaceful area. Park itself has lots of trees offering much needed shade. It has water and electric hookups on pull-thru sites as well as picnic tables and fire rings. On premises you will find ice & firewood, honey wagon but also an RV dump station and trailer rentals. And good news - tent sites are also available. Although you can enjoy peaceful surroundings, there are also areas for some outdoor sports such as volleyball & basketball, horseshoes as well as swimming pool and a kiddie pool! Nature lovers will find here amazing hiking trails and boating and fishing on the nearby lake. There are weekend activities planned for the whole family. For children there are also special kid wagon rides and pedal kart rentals. If you want to stay close to the Lake Ontario and enjoy the sunsets and the fresh breeze of the lake, you can choose this RV Park. The Premium RV Site includes water, 30 or 50 amp electric, sewer, basic cable hook-up, bath and shower house, pool and playground. The best thing about this park is that it is close to many attractions. You can visit the Historic Fort Ontario, Richardson-Bates House, Marine Museum, Oswego River, Sterling Bluffs, Sandy Creek Dunes, Salmon River Falls and other beautiful places around the area. You can do golfing, fishing, boating, kayaking, canoeing and other water sports on Lake Ontario, and some bird watching as well. There are shopping centers nearby. This is the ideal RV camp if you want to be close to the Niagara Falls. This beautiful park is family operated. There are 100 RV sites, 20 pull thru sites and 90 full hook-ups. It offers a comfortable stay with dump facilities, coin-operated laundry facilities, bath houses with showers and a small office store. You will be only 30 minutes away from the Niagara Falls, Aquarium of Niagara Falls, Snow Park Niagara Falls, Art Park, Old Fort Niagara and some golf courses. Other attractions that are less than an hour away are the Canadian Falls, Niagara on the Lake, Buffalo Lake Erie and amusement parks like Fantasy Island, Seabreeze and Darien Lake. Brookwood RV Resort calls itself "A Family Campground". This family campground offering the seasonal camping is nestled among trees close to lakes. The park has 110V - 30 & 50 amp electrical service, water and heated showers and toilet facilities. If you love watching TV you can do so here using cable TV hookups, wireless internet and phone are available as well on the premises. The RV resort is close to the Fort Ticonderoga, Mount Defiance, Ticonderoga Heritage Museum, Bi-Centennial Park, Lord Howe Valley Farm, Roger's Rock Slide for Rock Climbing, Tongue Mt. Hiking Trails, Six Flags Great Escape Theme Park and the Penfield Museum. Located in an area with lots of hills and forests, Pine Valley RV Park & Campground is great for lovers of outdoor activities. It is the seasonal park opening between May and October. As expected, you can hook up here your RV to electric, water & sewer hookups. Modern facilities like free hot showers and restrooms, laundry and dump station are available for guests. Internet wifi access is offered to all guests on the premises. The RV Park & campground is great for groups thanks to the big lodge with large screen TV. Kids will love the playground, boat rentals and swimming possibilities. If you want to see the Corning Museum of Glass, Curtiss Air Museum, National Soaring Museum, Watkins Glenn International Speedway, Wineries, Cooperstown Baseball Hall of Fame, Farmer's Museum and other attractions, they are all in the region on Pine Valley RV Park & Campground. There is so much to do in New York such as going to the Big Apple, Brooklyn Bridge or the Empire State Building. Just because you travel with a pop up camper, motorhome trailer or any other recreational vehicle does not mean you have to stay at the campgrounds all the time. 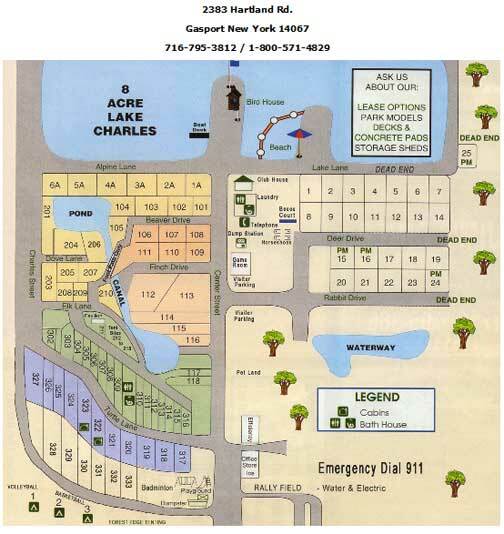 Look at a directory of campgrounds: tent and RV camping parks New York (NY) to find the perfect campgrounds. If you want a beach camp or a casino campground, start your search here. The directory of campgrounds: tent and RV camping parks New York (NY) helps you fine the right campgrounds to stay at with your motor home or mobile home if that suits your needs better. With all the things you can do around the area, you will never run out of things to see and do.